Cricket Maniac is Getting Married!!! Your favourite Cricket Blogger - Cricket Maniac is getting married to the love of her life on Feb 13th 2011. In the second test at The Oval, Pakistan's returning batsman Mohd. Yousuf made a patient half century to help Pakistan take lead in the ongoing Test match. Apart from Mohd. 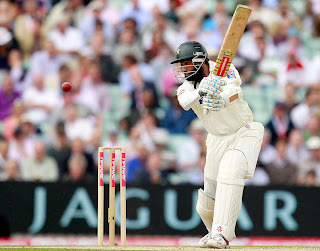 Yousuf, new batsman Azhar Ali made a patient half century and is still batting (when the blog is posted) on 66 and is the leading scorer in Pakistan's first innings as they take a lead of 45 runs in the first innings. Pakistan, on the other hand, restricted England to a mere 233, thanks mainly to a first 5 wicket haul for the debutant Wahab Riaz, who took 5-63 in his first ever test innings. Pacer Mohd. Asif took 3 wickets and played an important role in restricting England to 233. Pakistan were 276 when the last news came in. For England, G.P. Swann took 3 wickets.